The current estimate of potentially habitable planets in the Milky Way galaxy is on the order of tens of billions – we aren’t even considering the moons that might be orbiting these planets and may have water and atmospheres conducive for life. Planet Rise shows a gas giant rising over an ocean teaming with life on one of its moons. We haven’t found it yet, but I have every confidence that it is out there, somewhere in the vast cosmos. 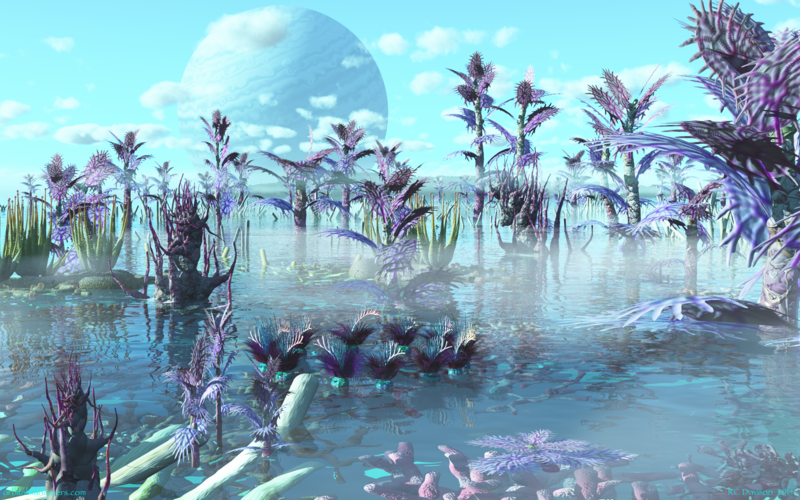 Planet Rise – A gas giant’s moon teams with life. Check out the main gallery page for more images.